I kept the design sweet and simple so the images and lettering could take center stage. 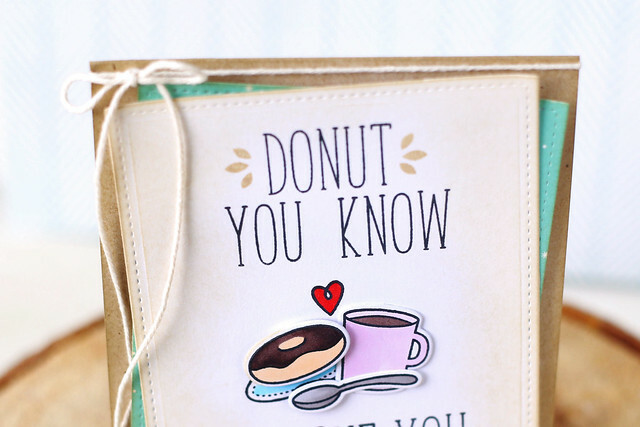 The little accents on either side of the word donut are from another new set, deck the halls. The new stitched rectangles are so perfect for quick cards that look polished. In other news, I bought a donut pan. I need to try it out soon. I hope you like what I created today! So sweet! I love this new font, it is on my must have/need now list!!! 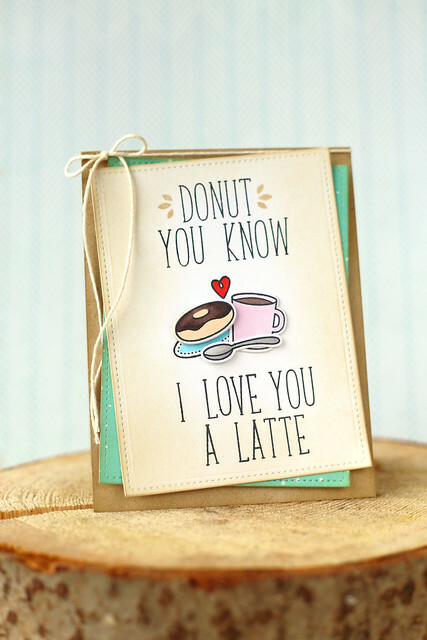 OMG, I just love this "punny" little card! So cute Elena! I'm so happy to see a post from you in my email box. It's been a looong time! Such is the same for so many people using FeedBurner. Hopefully crafters are getting it sorted out. When I was a kid, my mom would buy canned biscuits, and tear them open in the middle, deep fry them and put glaze on them for home-made donuts. But real ones will be much better! LOL I'm gearing up for some Sugar Cookies for the holidays, thanks to you sharing yours last year. I love, love, love your card and because of it I had to order those stamps and dies, or at least that is what I am telling my husband, it is all you fault. This is as cute as they come and I love that sweet looking doughnut...so yummy. Ha, ha! Love the sentiment! You are so creative!